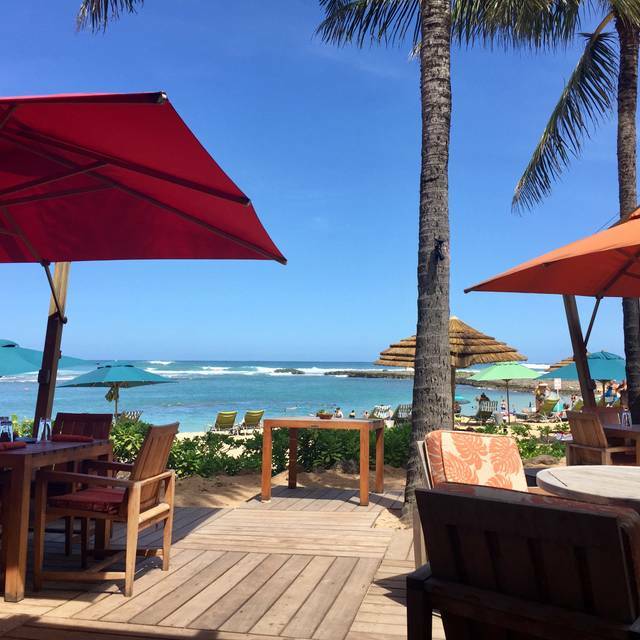 You must make reservations at least 5 minutes in advance of the time at Roy's Beach House at Turtle Bay. 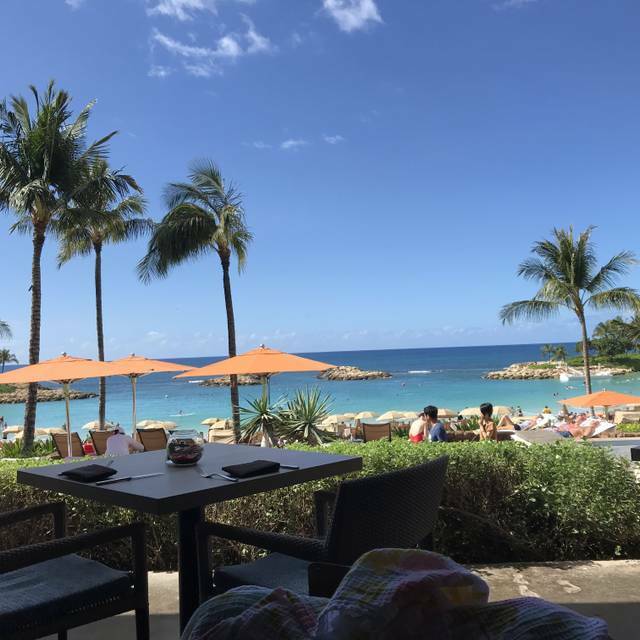 Complimentary, on-site parking provided by Turtle Bay Resort. Valet Service also available at front desk. Live Entertainment between 4:30-7:00 every Monday, Wednesday, and Thursday! 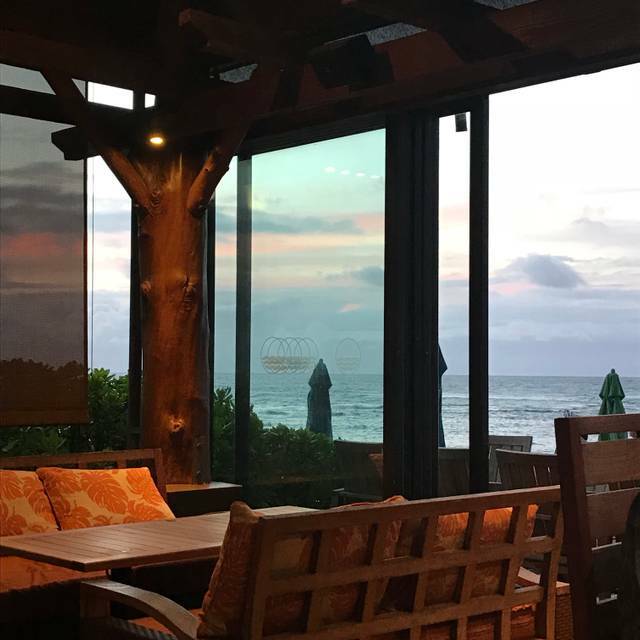 We invite you to join us at Roy"s Beach House at Turtle Bay Resort where Hawaii’s royalty swam and relaxed with the turtles. With sweeping views accentuated by two stunning reef points as a backdrop, Roy’s Beach House guests will dine like royalty in an open- air pavilion that offers an authentic sense of place. The concept and design for the new 140-seat open –air restaurant are a reflection of Roy’s love for white sandy beaches and the ocean. Roy has fond memories of potluck gatherings on the beach with a variety of his family’s favorite dishes- a memory he hopes to create for you at the Beach House. So please come and indulge in one of our spectacular hand crafted cocktails or choose from a selection of ice cold local beers while you discover the fresh ingredients and outstanding seafood, expertly prepared by our local chefs that have made Roy’s famous. 5 oz. Ora King Salmon "Hot Pot"
Beautiful view! The atmosphere and food was amazing. Fantastic ambiance and service. The brussel sprout and calamari small bites were fantastic. We would eat here again. Fantastic outdoor seating with ocean view. Laid back atmosphere. Great food and great drinks. Simply exquisite! Staff was so informative and food superb! The staff was excellent. They were able to modify the dishes to be gluten free and even had wonderful gluten free dessert options. This is an excellent place and they do a wonderful job accommodating for allergies! Vacation. The filet was perfect. Sushi was fabulous. 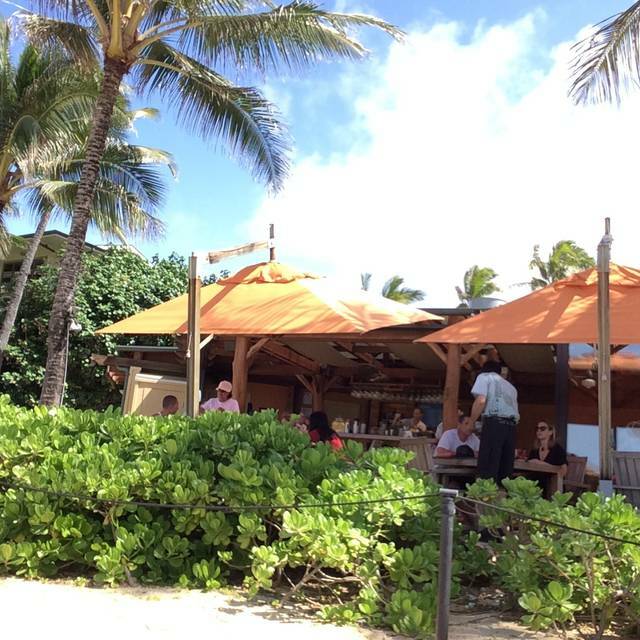 Excellent service by Chris, food was delicious, and you couldn’t beat the outdoor seating next to the beach! A beautiful night! Restaurant was excellent, service superior, and every dish was exquisite as to taste. The wait staff were attentive and were able to describe the various dishes so as to be well understood and anticipated. Highly recommend for a wonderful evening. Fantastic beautiful setting on the beach where you can watch the waves roll in. Great food and service. Recommend the butterfish (cod) and the brussel sprouts. Across the board outstanding. During our vacation we returned a second time! Birthday for my wife— wine was well priced and food was fantastic. Server put a candle on our dessert with minimal advanced notice which was really nice. Have been to a few Roy’s and this is hands down the best. View from every seat. A lot of thought out into each recipe and cane out to us perfect visually and taste. Chick pea roll, lamb and chocolate soufflé were our favorites. Downer is how expensive it is but hey your most likely on vacation so spoil yourself. Amazing! Roy’s is a new favorite spot for us. 2nd visit. 1st was perfect. 2nd visit again had excellent service but our calamari appetizer was like chewing rubber bands (also about that size). After 2 bites we sent it back. No argument, only apologies. Learned 2 more were sent back after ours. The Brussels sprouts appetizer had sprouts that were too large (over 1” long). They were good but more than a mouthful each bite. We went here for dinner to watch the sunset. Unfortunately, it rained; however, we did not get wet because of the umbrellas and roof. The service was quite good, and the waiter was attentive to detail making special arrangements to not have garlic in the mashed potatoes. The steak was cooked more like well done instead of medium but was succulent. The scallops were flavorful, and the chocolate lava cake was spectacular. Such a beautiful location! My husband and I celebrated our 1 year anniversary here and they truly made it special. The service was so friendly and excellent! Roy’s was great! My lamb was all fat unfortunately but the over all ambiance is amazing and the chairs are super comfy! My water was always being topped off halfway down the glass! The waiters are amazing there! We ate many appetizers “Tapas style”. Each course was delicious and perfectly prepared. Ended with Chocolate Soufflé (which wasn’t a soufflé at all, but more like what others call “Lava Cake”) which made for a delicious ending. Server was most helpful and brought us a slice of lemon cake to recognize our anniversary. Also we got great table overlooking beach. Great service and ambience. Superior Mai Tai. Macadamia encrusted Opah with side vegetables tasteless and could not even be rescued with sriracha sauce. Very disappointing when compared to previous dinners we have had at Roy’s on other islands. You can't beat the beach front location. It's great for an intimate dinner or family get-togethers. The food is five star! The setting on the north shore is just stunning. The musician was talented and added to the ambiance. The servers were the MOST attentive I have ever seen (even over high end restaurants back home in Chicago). The staff made my husband feel incredibly special for his 40th birthday. The pineapple martini was to die for, and the pineapple upside down cake was everything (searching for recipes to TRY to recreate this at home, but I know we will fail and just need to come back again)! The fish was not the best I’ve ever had, but it was fresh and the flavors mixed well. Thank you to Roy’s for a lovely birthday celebration. See you again in two years (we hope)! Excellent service and amazing food. 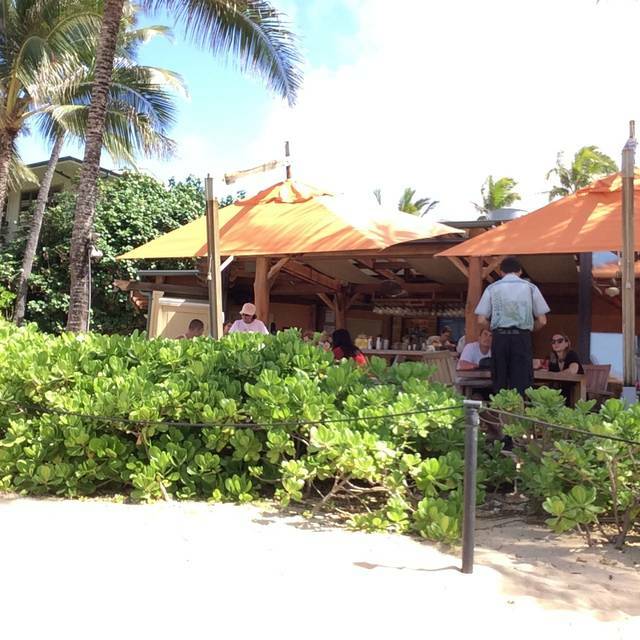 Highly recommend this restaurant if you are on vacation at Turtle Bay. The food was not good. The fried calamari was cold and overdone - too difficult to chew - had to send it back. The croutons in the romaine salad were stale and worst of all the scallops were seared on only one side and too seared at that. I will not be going back. Most beautiful view. Great food and good drinks. Braised ribs are the best ever! We have been there several times and it never disappoints. The staff are also very competent and friendly. 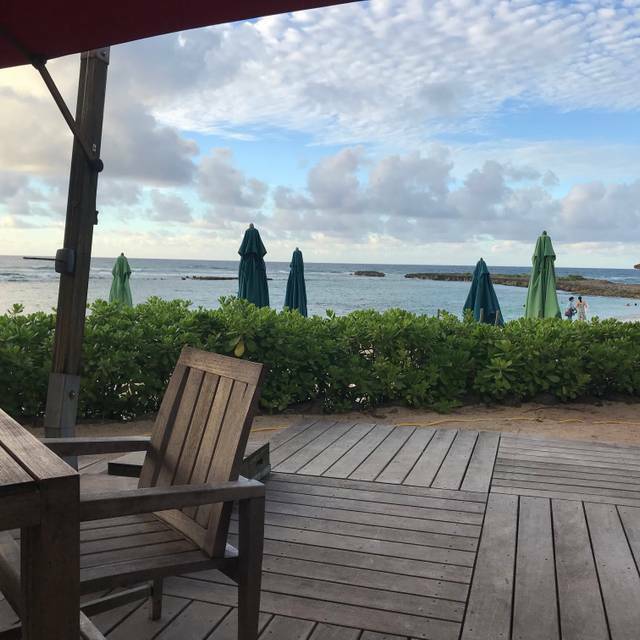 I always enjoy eating at any of the Roy’s chain of restaurants, and this one, too, at Turtle Bay was fantastic. Service was exceptional (thanks, Chris and Keith) and the food was delicious. Like most Roy’s restaurants, prices are a bit high, but in the end, always worth it for quality food and service. I wouldn’t normally frequent this location, but if staying on this side of the island, Roy’s Beach House is an excellent stop. The manager, Brandon, and our server, Kevin, both made my wife's birthday celebration absolutely wonderful. Management is fantastic. Recognized us for our multiple visits. Only complaint is being sat next a bridal rehearsal dinner. I loved it as always! Justin took great care of us, our food was excellent, the drinks were fantastic... it’s my favorite spot on the island for good reason. Fantastic meal at Roy’s. 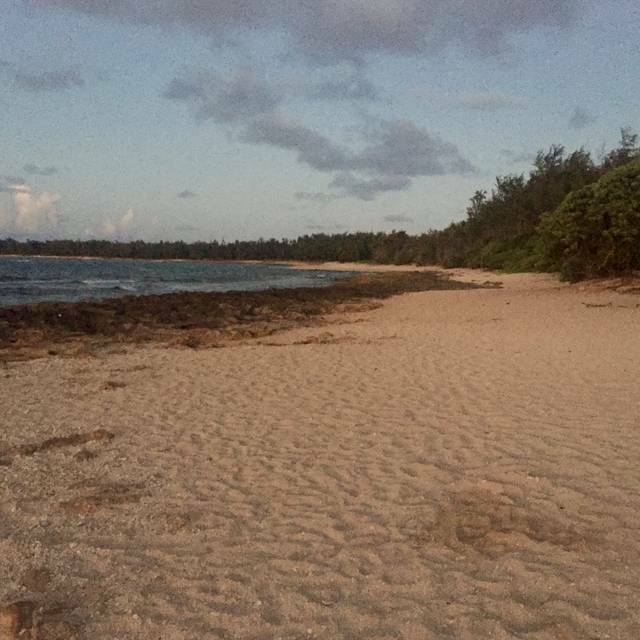 Fish and lamb and apps were outstanding and the views at Turtle Bay can’t be beat. Very good food. They were also very accommodating to allergies. Food was great. Live performance but I wasn't into the music being played. Wonderful service and we enjoyed the great live music!! 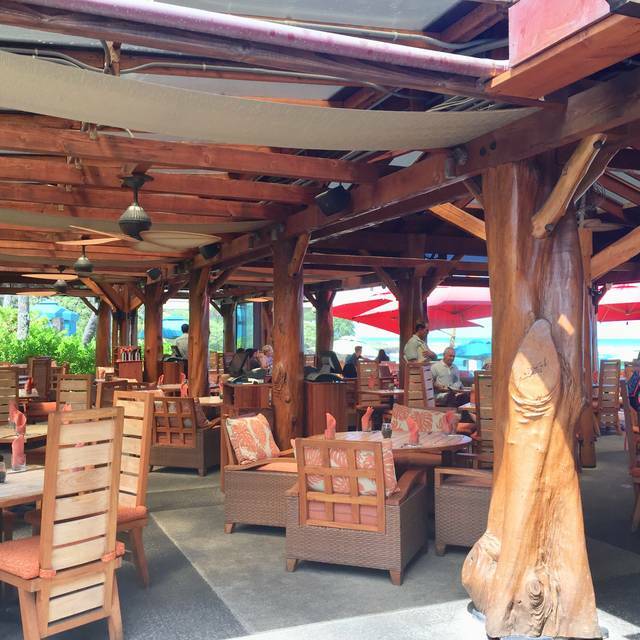 The Beach house version is more casual than at Ko O’Liina on the south shore of Oahu, but the food is equally good. 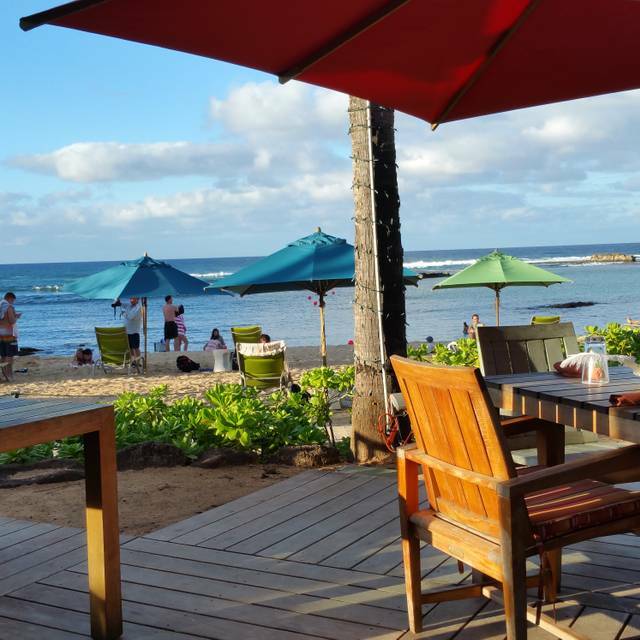 The open-air dining experience right on the beachside makes for a spectacular view. Highly recommend.